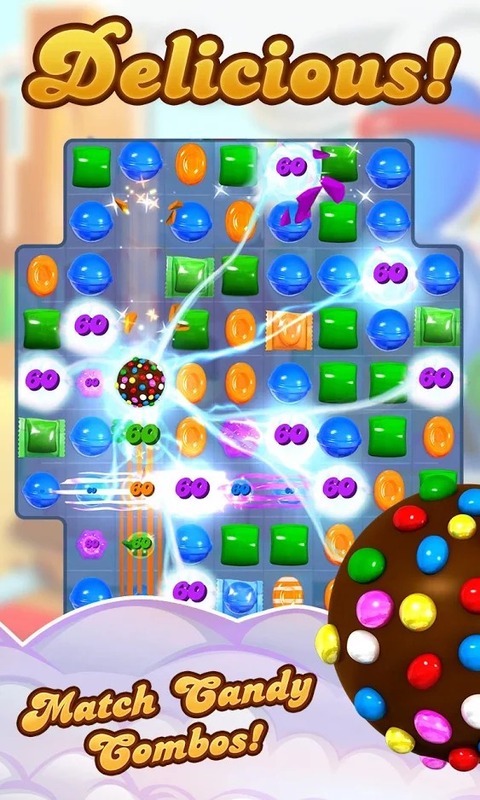 Home / Games / Candy Crush Saga: The Sweetest Match 3 Puzzle! 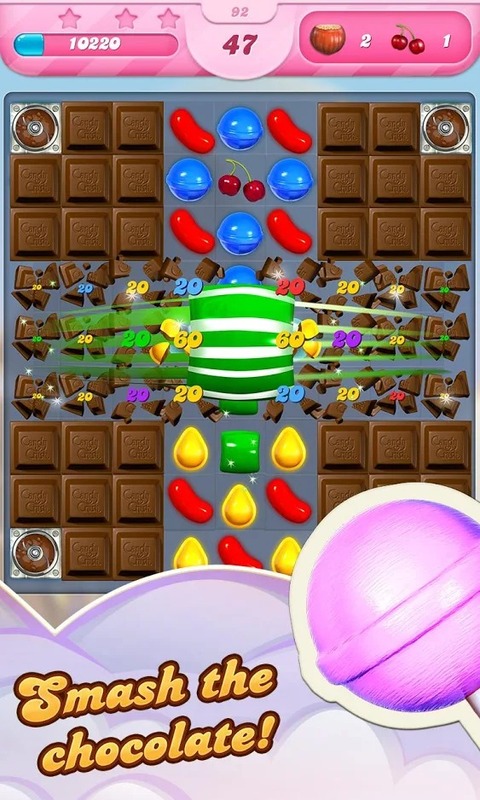 If I ask 100 people which is the best and most popular match-3 puzzle game, I will definitely get 101 answers that it is Candy Crush Saga (MOD Unlimited Lives). The game of King is considered to be the best mobile game with billions of downloads on Google Play and the App Store. The game was first released on Facebook on April 12, 2012, followed by versions for Android, iOS, and Windows. Possessing simple gameplay, the game is very well done with many challenges and useful things. Although it is a puzzle game, you will not find a headache but on the contrary, you feel like you are lost in a sweet world with hundreds of colorful sweet candies. 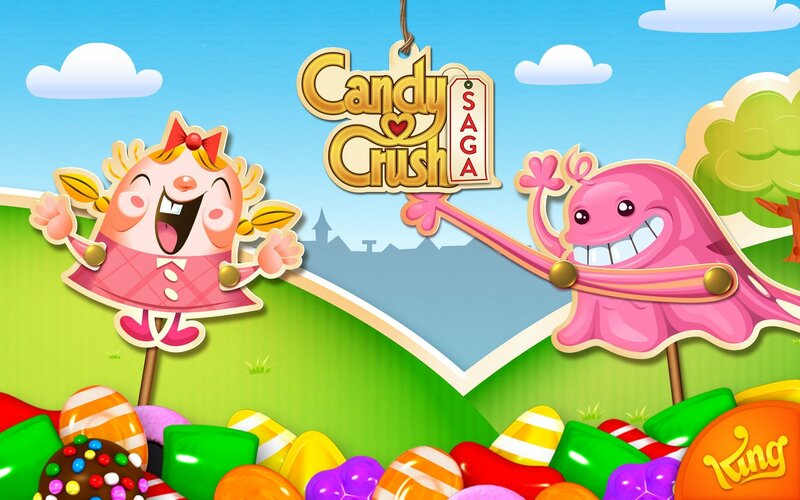 Candy Crush Friends Saga is a similar game you can try. That right. 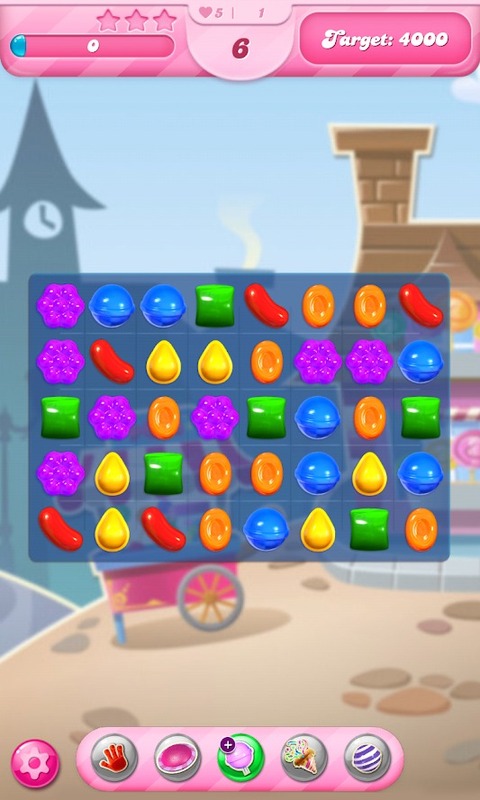 Candy Crush Saga‘s gameplay is like Bejeweled, which means match-3 but is in an unlimited time version. If in Bejeweled, you have to complete the level in the time that the game requires, this adds to the challenge but accidentally makes the player feel more pressure, otherwise, that is completely improved in CCS. The game gives you something a bit slower and more fun. You can think an hour, a day or a week. Playing 5 turns, feeling stuck and lacking in ideas, you can go and have a cup of coffee and come back to finish the game. That doesn’t matter. Depending on the level, the challenges will increase. You can overcome dozens of first levels simply like a walk. But don’t think that the game lacks the challenge. No one dares to claim that this game is easy. Many people remember the moment they graduated from high school, but for me, it was the moment I passed level 96 of the game. I was stuck there for weeks but somehow, I got through after 1269th time of playing. What’s interesting about Candy Crush Saga is that even though there are some levels that are difficult, it doesn’t make players feel depressed. I always had the feeling that I could win the game any time and thought I was just missing a bit of luck. 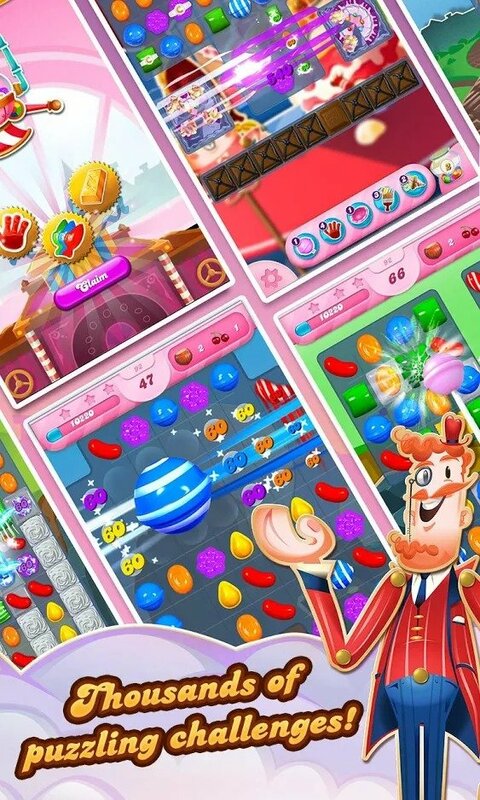 When playing Candy Crush Saga, you discover the world of sweet candy designed in an extremely eye-catching and colorful way. The design of the game makes me feel excited and addictive. In particular, when you “eat candy”, everything will explode or there is a lightning bolt to dissolve them. I can play games all day, anywhere, anytime. At breakfast, sit down for a coffee, relax on the sofa or even I can bring my phone to the toilet to play this game. The game is an effective solution when you have a long journey on a bus or a taxi. You can invite your friends to join the game by sharing games via social networks. This has the main purpose of advertising for the game, but you also get some offers such as more life to play. If you’ve entered social networks, you can see your friends’ achievements on the level map. The game is constantly updated with new levels every week so you and everyone can unlock it. Basically, you must complete the level if you want to play at the next level. However, if you use our Candy Crush Saga MOD, you can play any level you want without having to play each level from low to high. More than just a puzzle game, Candy Crush Saga is a great game to entertain you anywhere, anytime. Join the sweet candy world of the game and “eat candy” delight. However, eating candy in this game is not easy at all! 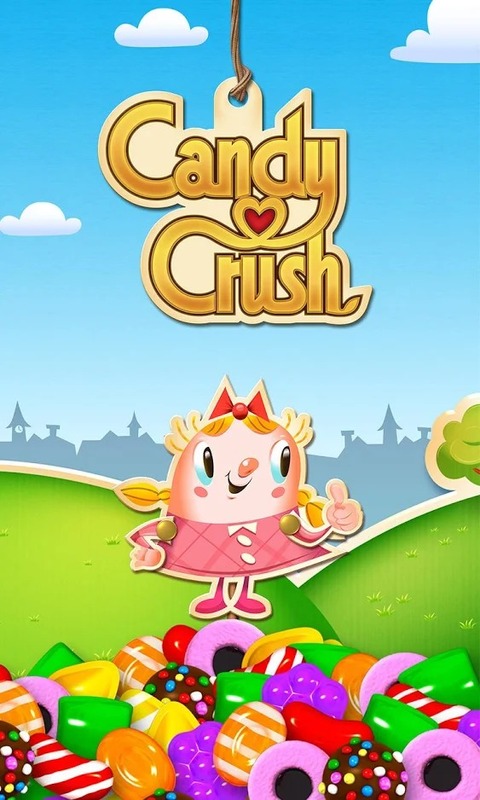 Candy Crush Saga MOD APK is ready to download! 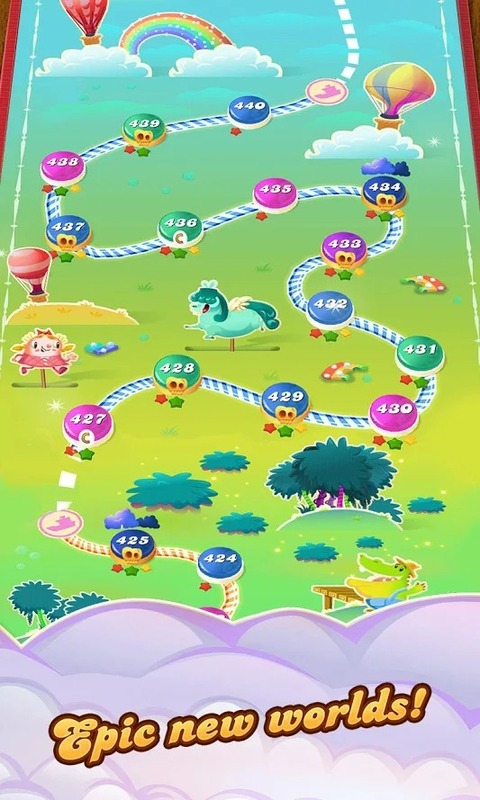 Depending on your needs, you can download Candy Crush Saga MOD APK or Candy Crush Saga Original APK. Or install from Google Play / App Store if you want. Zoo Zoo Arena: A puzzle game with animal friends!